When you make the wise decision to let professionals take care of pressure washing your Madison home, there are some thing you should keep in mind. It has become a common misconception that this type of cleaning system is harmful to your home. It is true that it may not be the best approach for some roofs because it can tear at shingles or create water pockets under the shingles, but most of it comes down to who does the work and how it is handled. With the right team of professionals, this type of cleaning service can be more than beneficial to your home. So before making the decision to move forward with pressure washing make sure you know a few things. More importantly, make sure the team that you opt to work with is reputable and qualified to get the job done. 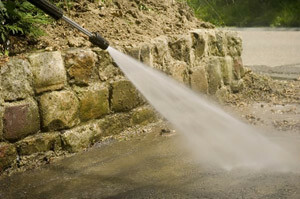 The biggest benefit to taking care of pressure washing your home is that it helps to protect it. As with anything else, the last thing you want is a build up of dirt, mildew and other debris or potentially harmful contaminants. This is the ideal way to start fresh and hit the reset button on the condition, and look, of your home. On that note, curb appeal is another essential reason for taking care of pressure washing your Madison home. You take great pride in your home, as you should, and it is your most important investment. So why wouldn’t you want it to look its best at all times? This is as much for you as it is so that even the neighbors are impressed with the look of your home. This is also important so that you can maintain or increase the property value of your home. Keeping your home looking its best and protecting it from problems like mold help to increase the value of your home. Now, all you really need to know is who to rely on to get the job done. By working with the Cavalier Window Cleaning & Powerwashing team, you can feel confident that you get the highest quality service that there is. We take great pride in the quality of work we provide for our clients, and it shows in the results that we get. We are the name locals trust with caring for their businesses, historical homes and every other type of building or structure there is. 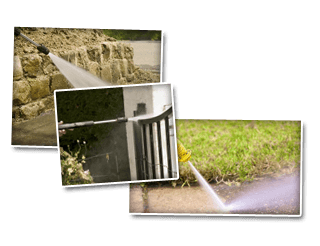 Give us a call today to find out more about how we can take care of your Madison pressure washing. If you are looking for window cleaning services in Madison then please call 434-823-1737 or 540-910-1434 or complete our online request form.